Balcony View Living Room Fully Furnished Updated Kitchen Mounted Flat Screen T.V. Living Room Breakfast Bar Granite Counter Tops with Stainless-Steel Appliances Serene Master Bedroom North View from Master Bedroom Master Bath Pristine Guest Bedroom with Doubles Northviews from the Guest Bedroom Guest Bathroom Washer and Dryer Private Balcony South View from Balcony Majestic Sun Pool North View of Majestic Sun Lake View Gulf View The Only Thing Missing is You! 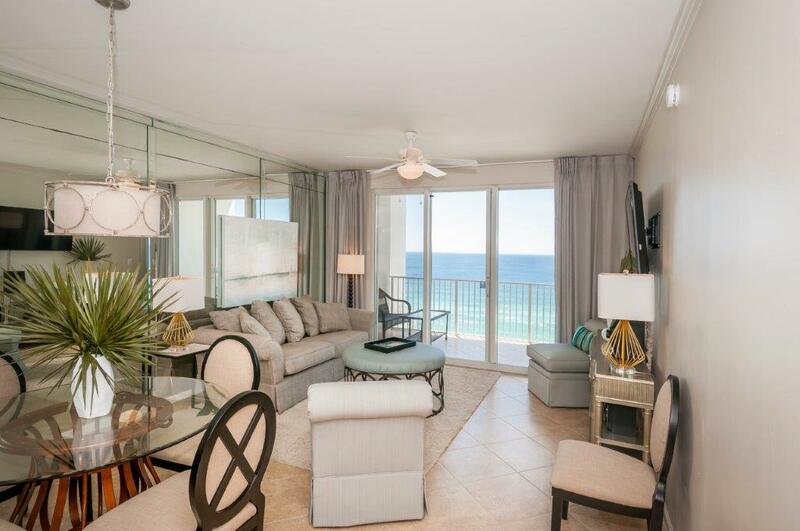 Majestic Sun 1108B provides guests with breathtaking views of the Gulf of Mexico. 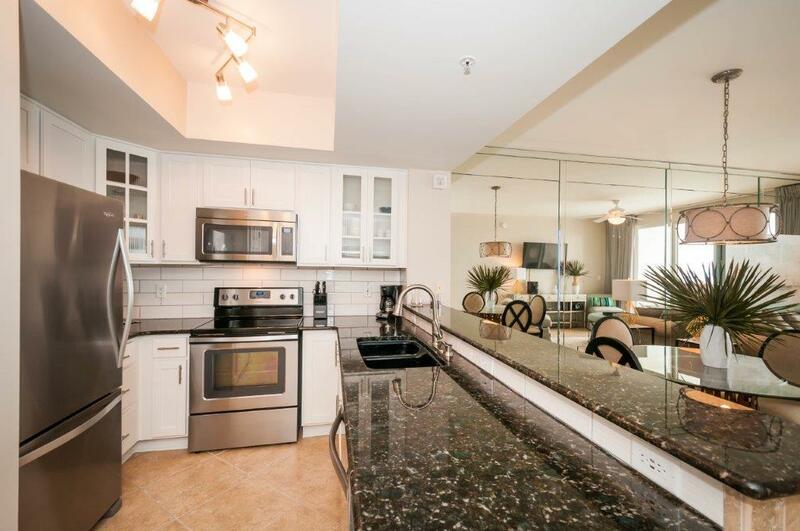 This two bedroom condo was recently renovated and is gorgeous. 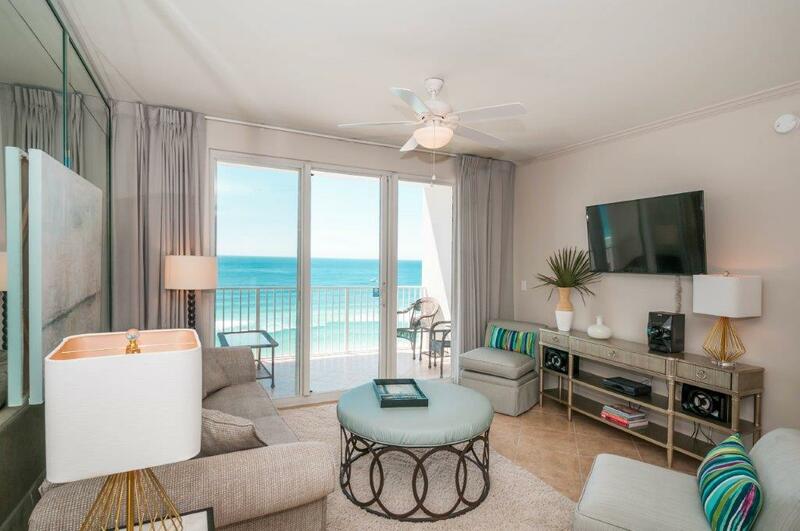 Majestic Sun 1108 is on the 11th floor of building B providing the most amazing and unobstructed views Destin has to offer. 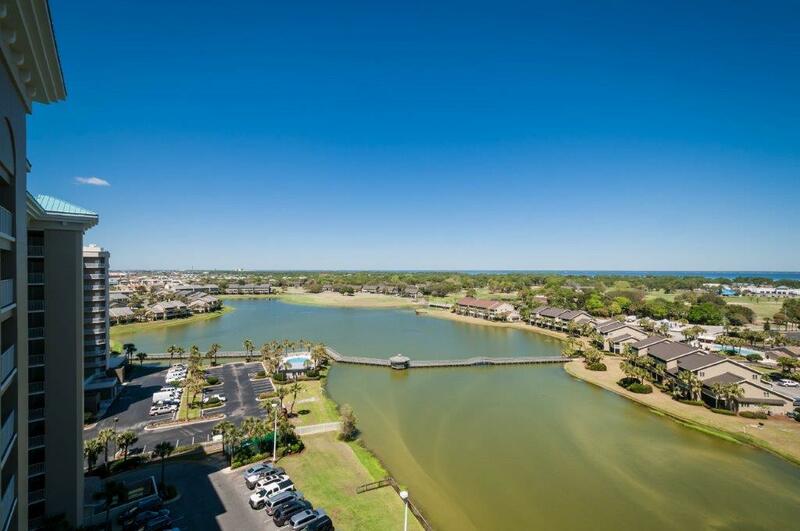 This magnificent unit is just steps from the highly sought after emerald green waters. Majestic Sun 1108B has an exquisite Master Bedroom providing a king size bed. The Master is cozy and features a flat screen TV for guest enjoyment. The Master also provides a private pristine full bathroom. The Guest Bedroom provides two double beds and a flat screen TV for guests to enjoy. 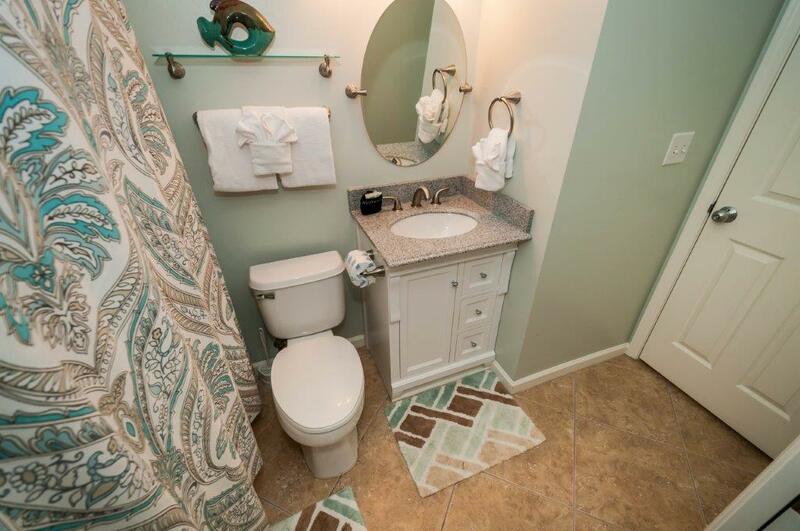 The second full bathroom is shared in the hallway. The kitchen is amazing and has been completely renovated. Featuring stainless-steel appliances with granite counter-tops. This fully stocked kitchen delivers stellar views while cooking your favorite meal. The living room is spectacular with a large flat screen TV with eye popping views of the Gulf of Mexico. There is a comfortable queen sofa sleeper for additional sleeping. Majestic Sun offers top notch amenities for the whole family to enjoy. Feel free to enjoy the beautiful 3200 square feet pool facing the emerald waters or swim over to the inside pool area to take a break from the sun. Two hot tubs are provided and great for relaxing after a long day. The fitness center allows you to keep up your daily workout routine. Majestic Sun is located on the Seascape Resort so access to golf is only a hole-in one away. Over all very nice accomodations.. 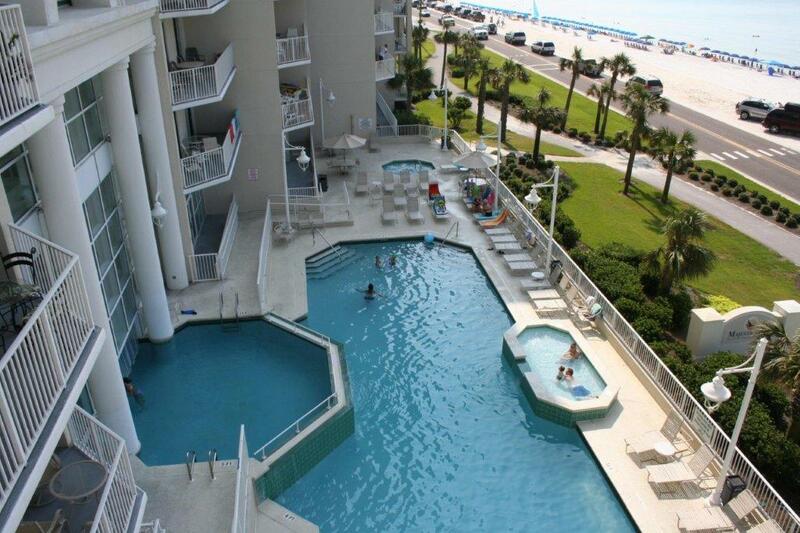 Very nice locations and condo,some things damaged and was concerned might be held responsible, perfect for our vacation, had problems accessing unit and parking as wrong codes given, loved and recommend Destin Fl and all it had to offer..
That’s very nice that there was ample parking and a lot of it was covered. The elevators where large and fast, and the condo is really pretty. The Oceanview less spectacular we loved the beach! The sand was white and soft and I was pleasantly surprised at how clean it was. Traffic at night was very congested -no surprise, The sidewalks are wide and go all the way down the strip. Shouldn’t advertise that the condo sleeps eight people. There are a number of reasons why. The sofa bed was hideous. Two of us ended up sleeping on the floor which sadly was far more comfortable. About half of the dinner plates are badly chipped. One roll of toilet paper per bathroom is pretty pathetic, especially since they were not new rolls. The little things do matter. Overall great location and wonderful rental unit. The only problem is having to remember too many codes. Door code, gate code, lobby code, pool code I should have carried my pocket notebook. Overall a great experience! Nice clean condo with ocean view on 1 side and overlooking pond on other side. Beach is across the street which is busy but has a crosswalk. Nice pools but they stayed busy (we stayed in August) and the inside pool was very cold. 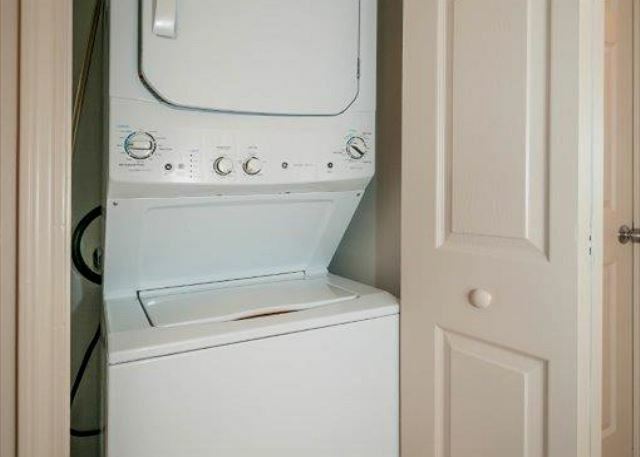 The condo was comfortable but the dryer is small and takes a long time to dry especially towels. My husband and I were pleased and our 6 year old had a great time. There are some restaurants in walking distance and lots to do in a short drive. We loved the fact that we did not have to check in or out at a desk. The elevator waits were long at times but expected for the 11th floor and the view is beautiful. The condo was beautiful, clean, and view was spectacular. We had a lovely time weather was great for a few days cold a few days what we expected. Thank you for sharing your home with us. This was our second time staying at majestic sun and our first time staying in unit 1108B. When we booked I didn’t realize it was spring break. I booked for a long weekend for my husband and 2 little girls. I’m forever thankful that it wasn’t crazy!! There were a couple groups of spring break see on the beach but it wasn’t crowded at all! It was actually pretty dead. You could hear people playing loud music during the day, which wasn’t a problem at all. And by 9 they had it turned down. Props to whoever is in charge of keeping the condo and beach restricted during spring break!! As for the condo itself, it was beautiful and clean! Our bed was very comfortable. The view from the balcony is amazing!! And since it was March we were so happy for the heated indoor pool!! We would definitely stay here again. Lots of room for our family of 4! And thanks to the management company we had an easy check in and check out process! Enjoyed our stay on the Emerald Coast. Furniture in living room and dining room very uncomfortable. No bathrooms within inside pool area. My boyfriend and I stayed here in mid-May. 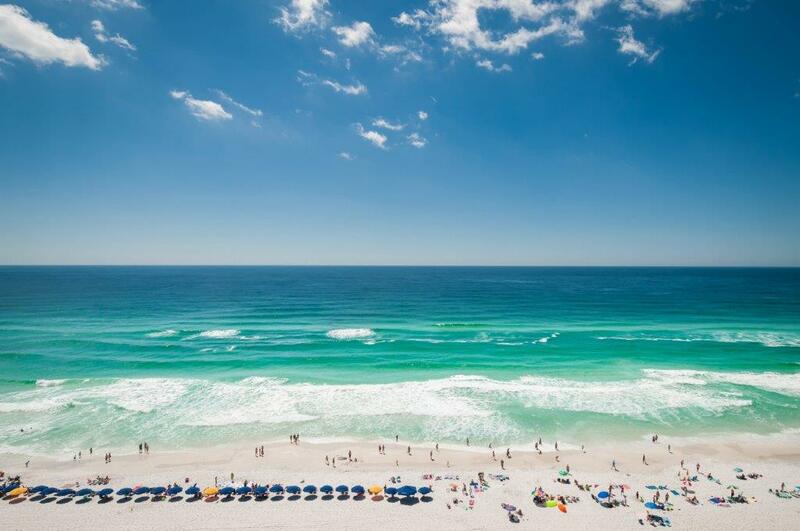 The unit had gorgeous views of the Gulf, and the beach was just across the street. It was nicely updated inside and quite spacious. 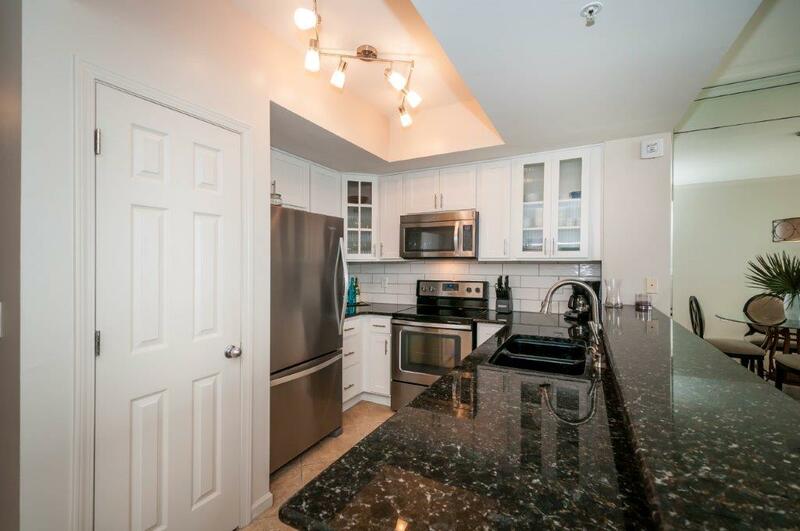 The kitchen was fully equipped to be able to cook meals in (not that you’d want to miss out on the great restaurants in Destin)! We would definitely stay here again. The location was great! We also appreciated the discount card that we used to rent the beach umbrella and chairs for the week - a nice additional touch. The only thing I would note for anyone staying more than a couple of days is that there’s just enough in the way of paper towels, toilet paper, laundry detergent, etc. to just get you started, so a Wal-Mart run may be in order depending on the length of your stay and how many are staying in the unit. Thanks for a great stay! It was an elegantly decorated condo with beautiful beach views.